Last month we held our eighth Colorectal Cancer Study Day – our first specifically focused on genetic conditions linked to the disease. 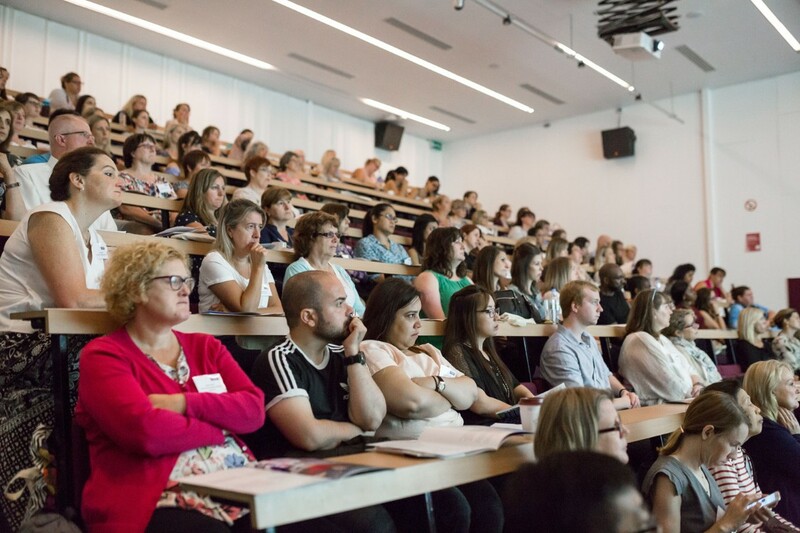 We welcomed over 100 delegates and expert speakers to Liverpool for a thought-provoking day filled with the latest research to inform day to day practice. We recap some of the key themes and take home messages from the day below. The day’s presentations began with a comprehensive overview of some common and lesser known genetic conditions linked to bowel cancer. Whist all cancers are genetic, less than 5% of bowel cancers are caused by a fault or mutation in a single gene passed down from generation to generation – collectively known as Mendelian syndromes. Having one of these conditions, like Lynch syndrome, can put you at much greater risk of developing bowel cancer, meaning monitoring and surveillance are crucial. And while research and improvements in technology mean we’re getting better and better at identifying people with genetic conditions, there’s still much progress to be made. Recognising people at high risk is fundamental, but ultimately we want to prevent cancer developing. That’s why the work of the CAPP trials – formally known as the ‘Cancer Prevention Programme’- is so important. The research has revealed the protective benefits of aspirin, particularly in those at high risk of bowel cancer, but we await some of the finer details on dose and impact over longer time periods. And as is common across the field of prevention research, translating this research into practice also remains an unmet challenge. Progress has also been made for patients with advanced bowel cancer. Understanding more about how our genes impact treatment success has been central to this, but taking a more personalised approach is key. Genes help us realise that whilst one treatment might lead to great success in one patient, for another, it won’t work at all. New developments and trials are ongoing in this field and research is now investigating whether this progress can help patients at earlier stages too. 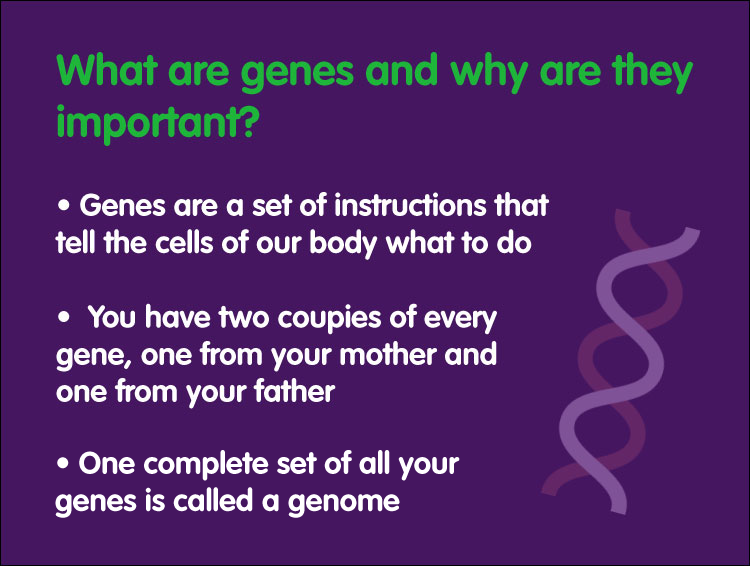 As well as bearing the knowledge of an increased risk of cancer, being diagnosed with a genetic condition can also bring a multitude of feelings and emotions of guilt and responsibility – how do I share this information with my family? Who else will be affected? Every patient comes with their own beliefs, perceptions of risk and questions. That’s why assessing psychosocial wellbeing during genetic counselling is so important. The psychosocial impact of diagnosis is something the day’s final speaker – patient, Mo Haque spoke about so eloquently. ‘Your mind is more powerful than the words of any doctor’ he said, as he described trying to take responsibility of his situation by making his own records of test results, educating himself and creating a new daily routine as helpful coping strategies. Mo was diagnosed with advanced bowel cancer and later discovered he had Lynch syndrome. After a challenging journey paved with setbacks, a lot of fundraising, a great support network of family and friends and eventually 16 cycles of immunotherapy, Mo’s cancer is now stable. And he describes feeling ‘blessed’ and hopeful for the future – ‘My life is about giving back now’. "Your mind is more powerful than the words of any doctor"